No one can know him better than is own father. He was happy when he was chamcha of fauj for 30 years. Now when he lost the elections despite showing his loyalty to fauj, he is now the baghi type. Hypocrate of next level. yeh to besharm hai hi,magar iske followers is se bhi barre besharm hain jo is shaitasn ko follow karte hain. If same been said by not so called maulana, alim, allama, zakir etc then there would be shelling of fatwa on that person that he/she mock the principles of islam!!! None of his protests are working, soon he'll start crying 'me too' coz try karnay main kya Hai! Leta hay lekin tanhai mein! Jab koi doosra nahin hota! 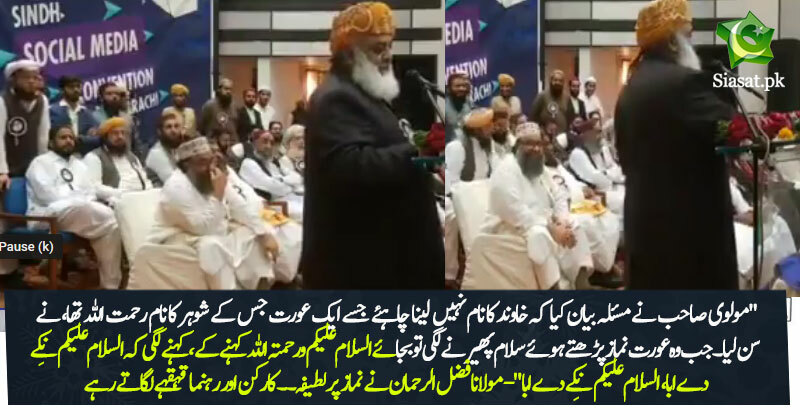 Ye DEOBANDI ulema e pakistan k siasi gutter ka sarbarah hey. isey b maloom hey k khan ne thoke dena hey...tbhi abi tk sirf hvae fire krta hey. Inn khoton ki zindagi ab 3rd class lateefay sunaane joge hee reh gayi hain. Islam se zyada Islamabad kerta phirta hai.